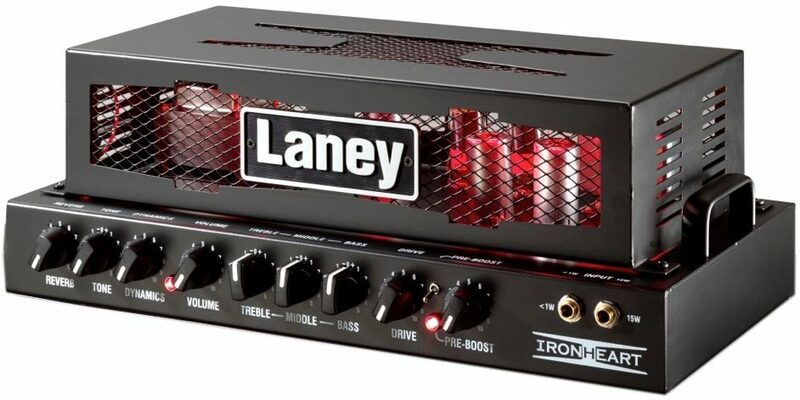 Housing a single high gain IRONHEART channel with full EQ and switchable pre-boost feature the Laney Ironheart IRT15H is designed to give you CRUSHING IRONHEART tones at low output levels which makes it ideal for home recording and your smaller gigs. Using the unique input options of 15W or <1W you can decide just how much volume you want. Plug into the 15W input and get 15 watts RMS if you want less output but don't want to loose your tone no problem, simply plug into the <1W options and get great tone at less than 1 Watt output. The IRT15H also features the cool flexibility of being able to record both silently, for late night recording sessions or in live situations via the SPEAKER EMULATED RECORD OUT feature on the rear panel. Housed in its stylish metal chassis the IRT15H looks as good as it sounds, glowing with a brooding red IRONHEART glow. Remember small is beautiful, but small can also be brutal. You have been warned.